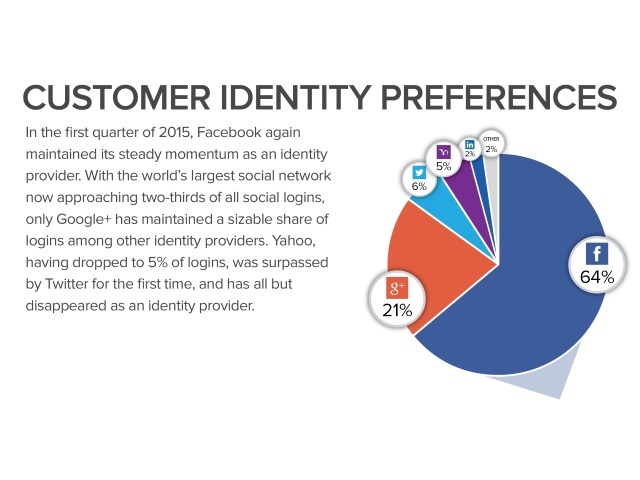 Facebook is approaching the two-thirds mark when it comes to social logins, accounting for 64 percent of them in the first quarter of 2015, according to customer identity-management solution Gigya. Gigya also found that Twitter overtook Yahoo for the first time during the first quarter. Google+ remained firmly in second place, well behind Facebook but well ahead of the rest of the pack (Yahoo, Twitter and LinkedIn).